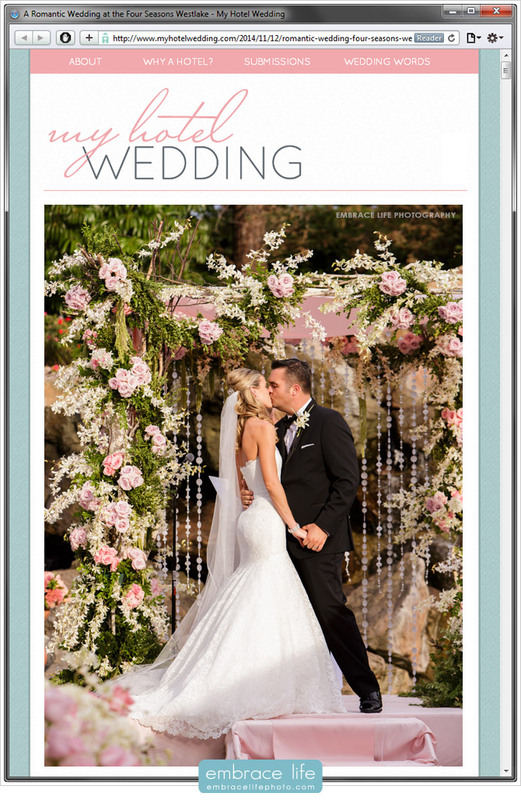 We’re thrilled to share that JoAnna and George’s gorgeous Four Seasons Westlake Village wedding photographs were recently featured by My Hotel Wedding. We were privileged to capture the incredible design work by Laurel Szeto of Laurel & Party Events and all of the other talented vendors that created such a beautiful garden ceremony and luxurious, romantic grand ballroom reception. Be sure to see the entire feature and read all about this lovely wedding.